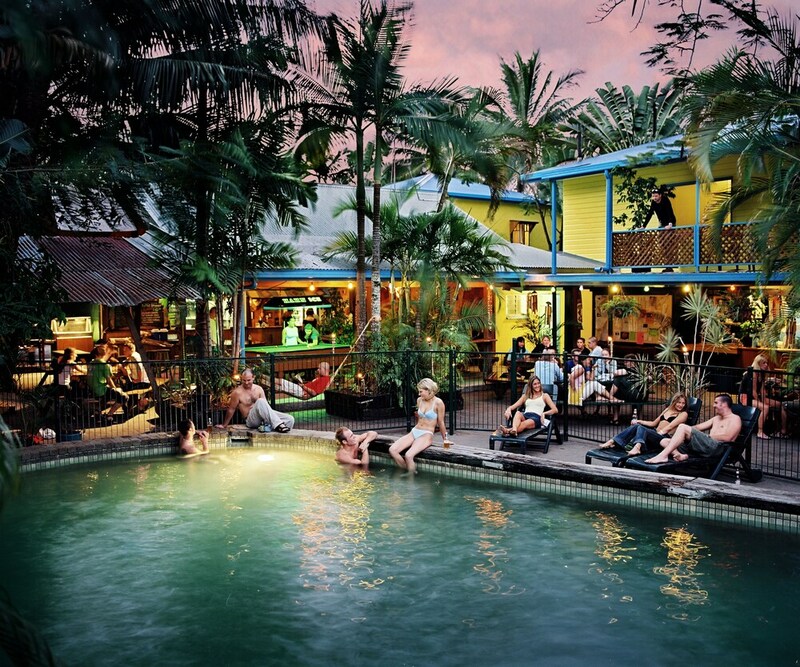 With a stay at Calypso Inn Backpackers Resort - Hostel in Cairns North (Cairns), you'll be minutes from Cairns Esplanade Charles Street Parkland and Cairns Base Hospital. This hostel is within close proximity of Muddy's Playground and St Monica's Cathedral. Make yourself at home in one of the 54 air-conditioned guestrooms. Prepare your meals in the shared/communal kitchen. Complimentary wireless Internet access is available to keep you connected. Conveniences include ceiling fans, and irons/ironing boards can be requested. Be sure to enjoy recreational amenities including an outdoor pool and bicycles to rent. This hostel also features complimentary wireless Internet access, tour/ticket assistance, and barbecue grills. Getting to nearby attractions is a breeze with the complimentary area shuttle. Enjoy a satisfying meal at a restaurant serving guests of Calypso Inn Backpackers Resort - Hostel. Relax with your favorite drink at a bar/lounge or a poolside bar. Continental breakfasts are available for a fee. Featured amenities include wired Internet access (surcharge), a computer station, and complimentary newspapers in the lobby. A ferry terminal shuttle is provided at no charge.